This website is made by me. I was born and I am (still) living and working in Eindhoven, the Netherlands. I have a tourism background and travelled to many countries, especially in South East Asia, some parts of the Middle East, northern Africa and Europe. It was in 1987 when I was in Indonesia for the first time joining a group and following a busy program through Sumatera, Java, Bali and Sulawesi. More than 31 years later I have travelled the country from east to west, from Sabang to Merauke and visited “only” 45 islands (out of some 17.000) and still counting. Three times a year, never boring. My favourite part is east Indonesia: Maluku, Papua and Nusa Tenggara Timur with Flores as the undisputed number 1. For a long time I was thinking what to do with all the information and knowledge as travelling to Indonesia together with photography had become a way of life. 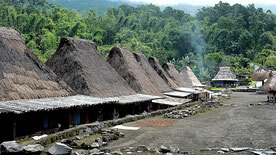 Together with Jack Meo, living in Danga (Mbay, Nagekeo), I had the chance to discover every corner of Flores. Patiently he took every road of which I thought it would be pretty or would lead to an interesting destination (not always...). Special thanks to Jack. You were wonderful, and still are. What to expect from this website? 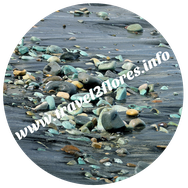 This website is meant for information about Flores island and help you to find your way around the island. About what to do and see there, practical info like where to find a laundry, what the roads are like, where to book flights. Just some examples. I am not a travelagency but I can help you with many things like a planning or help you to find a car with driver as I know lots of people all over the island working in the tourism branche. Their price is your price. No profits, no commissions. 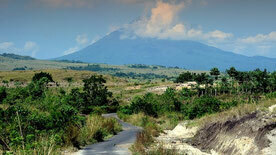 I am working on information about Flores and try to find the undiscovered gems which is not too difficult. The only drawback is the lack of decent infrastructure. Most destinations we have checked ourselves. Three times a year I "survey" the island to check roads, hotels, try new parts of Flores. Everything with the intention to promote the island as, to my opinion, Flores has potential to become one of the biggest tourist attractions of Indonesia. 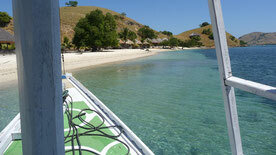 In the last decade Flores has become more favourite by travellers and Labuan Bajo is hosting 90% of them. Off the westcoast you will find yourself in a fairy tale of gorgeous islands, undoubtedly beautiful, as is the rest of this island. Check out the stunning interior, the well kept traditional villages, the virgin jungle and active volcanos and fly back home with lots of memories. First of all I am a traveler myself for a long time. I know what travelers are looking for. My mission is to help other travelers to enjoy this beautiful island and get tourism on Flores on a highter level (apart from the beaten tracks to Komodo NP) and therefore to help the people of Flores getting an income from tourism. In love with the island? Oh, yes, definitely, it was love at first sight. But, this one I want to share with the rest of the world. Be my guest. Messages via Whats App even faster, but only suitable for short and quick answers and/or when you leave very soon. Please keep in mind the possible difference in time.